These beautiful laminated, newly illustrated color charts display Mary’s Answer Sheet. 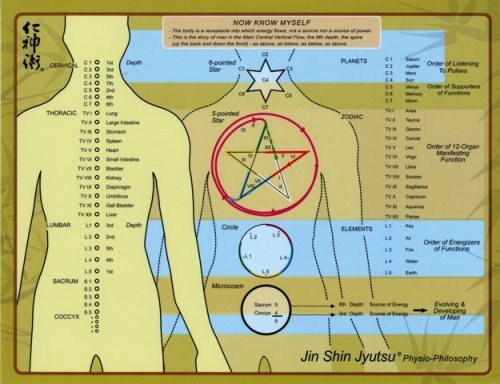 ...Meant for private study, Students and Practitioners of Jin Shin Jytusu will find these valuable and attractive learning aids. These charts illustrate the depths in color on the drawings of the 6-pointed Star, the 5-pointed Star and the Lumbar Circle. Small - 8.5" x 11" version (that fits in a notebook).